MUST SEE! BETTER THAN NEW! Large entry foyer invites you into the Vaulted Great Room with free standing gas fireplace & ceiling fan. Beautiful new Ceramic wood floors throughout the foyer,great rm, kitchen, laundry and baths. Beautiful cabinetry in the kitchen and large eat-in area. Very popular Split bedroom design - Master bedroom has a trey ceiling and ceiling fan and HUGE walk-in closet. The master bath has a whirlpool tub and separate shower. Two additional bedrooms share another full bath. Laundry room is right off the hall. The backyard is a entertainers dream...above ground pool, deck, small basketball patio area, and additional storage shed. Wont last long!! Direction: Bardstown Rd. - Approx. 4 miles south of Gene Snyder Freeway, turn right on 31EX (old Bardstown Rd. ), right on Landis (by the cemetery), right on Meadows Dr., right on street. 163 Joseph Dr, Mt Washington KY 40047 is a Home, with 3 bedrooms which is recently sold, it has 1,500 sqft, 83X120X103X120 sized lot, and 2 Car Garage parking. A comparable Other, has bedrooms and 0 baths, it was built in and is located at and for sale by its owner at $ 0. 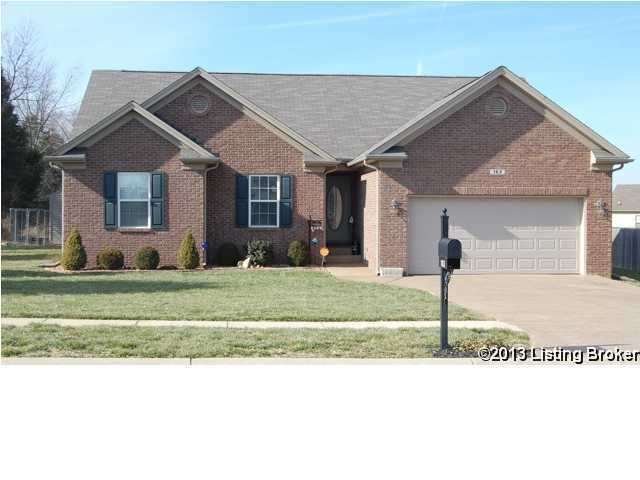 This home is located in the city of , in zip code , this County Other, it is in the Subdivision, and STONE MEADOWS are nearby neighborhoods.